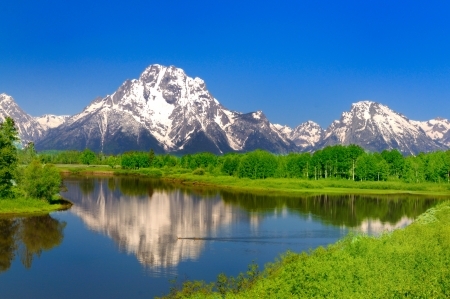 The Oxbow Bend At Grand Teton National Park Wall Mural is a vibrant scene of the famous overlook in Wyoming. The white capped mountains, deep blue sky and green trees are reflected in the river below. Choose your own size and material.